Federal regulations require that all students who receive Federal Student Aid maintain Satisfactory Academic Progress in their course of study, regardless of whether they have ever applied for or received financial aid for all periods of attendance. Students must be enrolled in an approved certificate, associate degree, or transfer program and must be taking courses toward completion of that program. Students must also choose an educational goal and be making progress toward that goal. The Woodland Community College Financial Aid Office monitors that progress using Quantitative, Qualitative and Maximum Timeframe progress criteria. All three standards are evaluated each semester during the academic year for all the periods a student was enrolled (Fall, Spring, and Summer terms). It is the student’s responsibility to make sure that he or she meets all progress standards each semester and cumulative. Need to complete online SAP Counseling for your appeal? Check it out here! Failure to meet any of the following requirements will result in warning status or termination from financial aid. A student will be immediately terminated from financial aid if he or she withdraws from all units during the semester or completes all units with “F” and/or “W” grade and may be required to repay all or part of the funds received. A student is required to complete at least 66.67% of the units attempted each semester and cumulative to ensure an acceptable pace of progression toward completion of their selected educational goal within a maximum timeframe. Pace is defined as Completed units divided by Attempted units. See examples below. A student is required to maintain a Grade Point Average (GPA) of at least 2.0 for each term attempted and cumulative. The GPA standard is used at all times in the determination of eligibility for financial aid, even when a student does not receive financial aid. Students may repeat courses for financial aid purposes, provided the courses are allowed under the Yuba Community College District repeat policy as specified in the College Catalog. All repeated courses will be included to assess time frame and the completion rate assessment, including Work Experience classes. Note: It is the student’s responsibility to notify the Financial Aid Office of any grade changes. Failure to meet Quantitative or Qualitative standards during the prior semester will place the student on Financial Aid Warning Status. An email advising the student of the status change and explaining what to do to correct this situation will be sent to the student’s college-assigned email address, on file with Woodland Community College Admissions and Records (Registration) Office. WARNING—Students who do not make SAP will be placed on Warning Status. TERMINATION– If student does not correct SAP status in subsequent semester, student will be placed on Termination status. APPEAL – Students can appeal if they did not make SAP due to “extenuating circumstances” and can provide supporting documentation. PROBATION – Appeal approved stating conditions that will be reviewed for compliance at end of semester. Exception: Student may be eligible for the California College Promise Grant (CCPG) – formerly known as the Board of Governors Fee Waiver (BOG). An email advising the student of the status change and what may be done to appeal will be sent to the student’s college-assigned email address, on file with Woodland Community College Admissions and Records (Registration) Office. See below for Appeals information. If SAP review makes it clear that a student cannot mathematically finish their educational goal/program within the maximum timeframe, the student will become ineligible for aid. See below for information on maximum timeframe. Students terminated for not meeting the SAP standards for GPA (qualitative) or pace of progression (quantitative) , may reinstate financial aid and be assigned a Satisfactory SAP status by taking a minimum of 6 units and meeting all three of the SAP standards at the next evaluation period (end of semester). 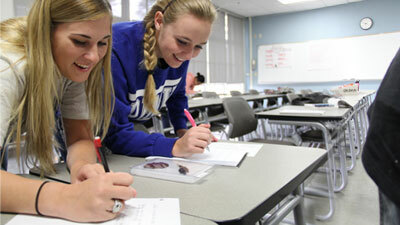 Allen and Marie enroll in the Associate Degree program for Psychology. Both Allen and Marie enroll in 14 units. Allen successfully completes 9 of those units and Marie successfully completes all 14 units, both making the minimum GPA of 2.0. After one semester, Allen’s pace is 64% (9 ÷ 14) and Marie’s pace is 100% (14 ÷ 14). To be making Satisfactory Academic Progress for pace they must have a pace of 66.67%. Allen is below the required 66.67% and is placed on Warning status, Marie is above the required 66.67% and continues in Satisfactory status. Allen enrolls in 9 units and Marie again enrolls in 14 units. Allen successfully completes all 9 units and Marie successfully completes 9 units, both making the minimum GPA of 2.0. After two semesters, Allen’s pace is 78% (18 ÷ 23) cumulative and 100% (9 ÷ 9) for the semester, and Marie’s pace is 82% (23 ÷ 28), cumulative and 64% (9 ÷ 14) for the semester. Now, Allen is making Satisfactory Academic Progress for pace, but Marie is not. Allen has now fulfilled the qualitative (GPA) and quantitative (66.67% units completed) requirements, putting him in Satisfactory status. Marie has fulfilled the qualitative (GPA), but not the quantitative (Pace per semester) requirement, putting her now in Warning status. In general, maximum unit limit for an AA, AS or a Transfer Certification is 90 units (60 X 150%); 45 units for a Certificate of Achievement (30 X 150%). Programs requiring more than 60 units (ex. Nursing) will be a unit limit exception that will be reviewed in case of an appeal. Remedial and ESL units are included in the calculation of maximum timeframe. Because of the 45 or 90 unit limit and the 150% Rule, it is important that a student decide on an educational goal early, and enroll only in courses required to complete that goal. Students will be placed in Warning status when their total unit count reaches 30 units for a Certificate of Achievement or 60 units for an AA, AS or a Transfer Certification. Woodland Community College offers counseling services provided by academic and career counselors and career planning courses to assist students in deciding on the educational goal that is best for them. 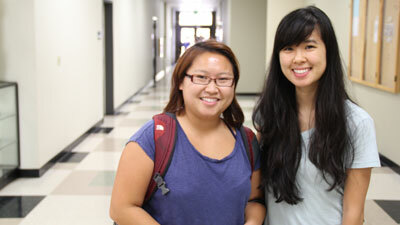 The Financial Aid Office encourages students to take advantage of Counseling services and develop an Educational Plan. Students are expected to complete their educational objectives within 150% of the published length of his or her chosen educational program. The Financial Aid Office will issue financial aid to eligible students for the units in which he or she is enrolled until reaching the 45 or 90-unit limit and/or the 150% length of enrollment (prorated to full time or part-time). Once a student reaches that limit, he or she will no longer be eligible for financial aid, except the student may be eligible for the California College Promise Grant (CCPG) – formerly known as the Board of Governors Fee Waiver (BOG). It is the student’s responsibility to know how many units he or she has completed. Exceptions to the maximum timeframe will be considered through appeal by the Director of Financial Aid or his/her designee. Any student who accumulates more units than allowed by maximum timeframe without achieving his or her educational goal will be placed on Financial Aid Termination Status and will not be eligible for financial aid (including the Federal Direct Loan Program), except the student may be eligible for the California College Promise Grant (CCPG) – formerly known as the Board of Governors Fee Waiver (BOG). An email advising the student of the status change and what may be done to appeal will be sent to the student’s college-assigned email address, on file with Woodland Community College Admissions and Records (Registration) Office. Remedial units include any coursework numbered 100 and above. Federal regulations stipulate that students may receive federal aid for up to one academic year’s worth of remedial coursework (30 semester units). Students will be placed in Warning status when their total remedial unit count reaches 20 units. Students who exceed 30 units will no longer be eligible to receive financial aid for remedial coursework, however; they will be eligible to receive financial aid for non-remedial coursework that is numbered 1 through 99. Although units receiving a grade of ‘D” will be considered completed units for purposes of pace calculation, units required for degree and/or major completion must be completed with a “C” or better to meet Graduation Requirements. Students who have not met all SAP requirements and had extenuating circumstances (i.e., illness, death of an immediate family member, medical/emotional disability) may submit an appeal to the Financial Aid Office. Appeals not meeting the “extenuating circumstances” category will not be accepted. Furthermore, submission of an appeal does NOT GUARANTEE the reinstatement of students’ financial aid. Therefore, students should be prepared to pay for their books, and other school related expenses pending the outcome of their appeal. For more information about appropriately filing an SAP Appeal, visit the WCC Financial Aid Counseling site. SAP Appeal submissions must include the following items to be considered complete. Appeals submitted without proper documentation and all items below will not be accepted and/or DENIED. Completed Satisfactory Academic Progress Appeal form: all sections must be complete. Current Comprehensive student education plan: must be reviewed with an academic counselor within the last 90 days. Certification of successful completion of the Key Components to the SAP FA Appeal Process online session: click here to complete. Typed, signed, and dated explanation/statement about your extenuating circumstance and what has changed (see appeal form instructions for details). Official supporting documentation of extenuating circumstance described in your explanation/statement: see below for examples, this list is not intended to be all inclusive. Illness of student or immediate family member: Attach medical documentation confirming the onset and duration of illness. onset and duration of the problem(s). Death in family: Attach copy of death certificate or obituary. Accident or injury to student or immediate family member: Attach medical and/or other documentation verifying the date and duration of the occurrence. Loss or involuntary change of employment: Attach a letter from the employer verifying the circumstances and dates of loss or involuntary change in employment. Disasters affecting the student’s attendance: Attach documentation of insurance claims or other third party information verifying the date of the disaster. Students should allow 30 days for the appeal to be reviewed by the Director of Financial Aid or designee. Students will be notified of the decision by e-mail. Appeal approvals are effective only for the semester the appeal is approved and is not retroactive to prior semesters. For additional assistance/clarification contact the Financial Aid Office.